I have an invisible dog that lives in my kitchen. His name is Fido and he lives in my dishwasher. Or at least that’s what it smells like. Seriously, my dishwasher smells like a wet dog. At first I didn’t find the wet smell concerning, I mean my dishwasher is a big box that gets filled with hot water on a semi-daily basis, of course it smells wet. Then one day I realized the smell reminded me of something… it reminded me of my parent’s Beagles after they’d been playing outside and rolling in the grass. Wet dog. Ugh. I’m pretty sure something I use to clean the things we eat off of isn’t supposed to smell like muddy Beagles. Well, I don’t see a dog in there, but I sure smell one. Of course over the holidays we had get togethers, late nights, and plenty of extra people making their way through my home. However, thankfully, I didn’t have to be embarrassed, or worried that anyone might notice my invisible wet friend, Fido, because I found a way to kick him to the curb with Finish Dishwasher Cleaner. Finish Dishwasher Cleaner has a powerful formula with 5x Power Actions that help maintain your machine, remove limescale, clear grease, clean hidden parts and freshen your dishwasher. It’s also really easy to use and totally removes all wet-dog-type smells. 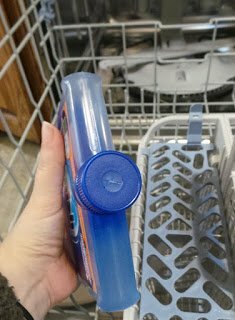 All you do is peel off the sticker, and insert the bottle upside-down, cap on. 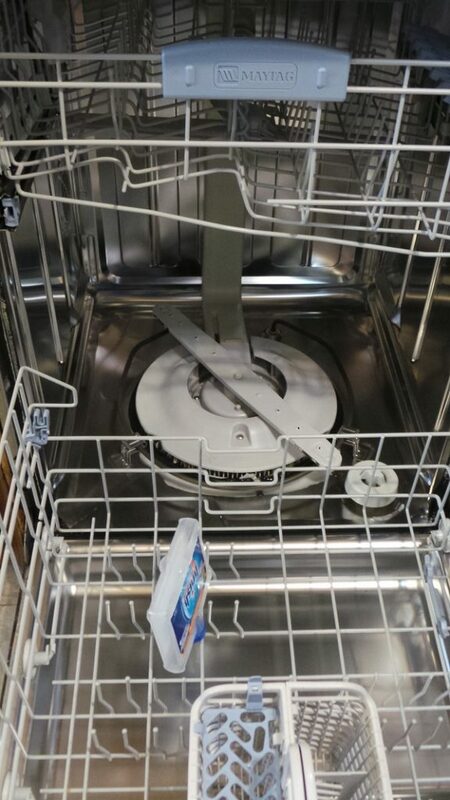 You set your dishwasher to the highest temperature setting, turn it on and go. That’s it. After using Finish Dishwasher Cleaner my dishwasher is left looking visibly cleaner, and that damp doggy smell disappears. Fido is gone. And he stays gone. 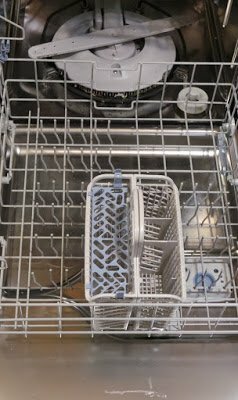 After the first time I gave Finish Dishwasher Cleaner a test run I found that a bit more than a month later my dishwasher still didn’t smell all stinky and wet dog like. Overall, when I think about it, this is a bit disturbing and grosses me out. Why did it smell like Fido before? What was growing in the parts that I don’t see? Eww. 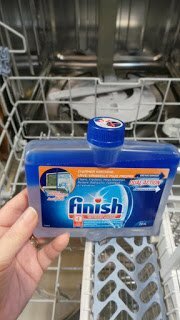 Now one of my New Year resolutions is to make sure to use Finish Dishwasher Cleaner once a month. I think this is one resolution I’m likely to keep (worst case scenario my nose will notice if Fido manages to creep his way back into my kitchen, at which point I will most definitely break out the Finish Dishwasher Cleaner and give him the boot).Finish Dishwasher Cleaner is available in both original “fresh” scent and, my personal favorite, lemon scented. It retails for $4.99 and can be found across Canada in the same places you’d pick up your dishwashing detergent (such as Loblaws, Walmart, Real Canadian Super Store, Canadian Tire, No Frills, Sobeys, Metro, Food Basics, and Fresh Co).Cool Contest AlertYou could win Home Cleaning Services for a Year! Talk about starting the New Year off in style. I mean who wouldn’t love a little bit of help around the house? 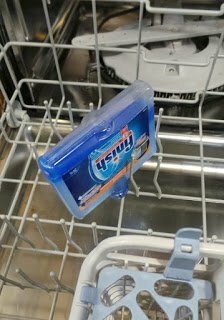 Simply visit Finish Canada Facebook Contest, leave a review or if you haven’t had a chance to try it yet you can instead write about why you would like to try Finish Dishwasher Cleaner, to enter for your chance to win. Wow…what a difference! I can't wait to try it in my dishwasher. Thanks for the review. I tried this in my dishwasher and it turned out beautifully clean, what a shame it doesn't last more than a few days. Seriously, Elizabeth? That's so disappointing. Mine lasted about a month, a bit longer to be honest. It might have to do with how hard the tap water is where you live compared to where I am? I honestly thought my husband and I were the only ones on the planet that said our dishes/dishwasher smelled like a wet dog!! How funny! 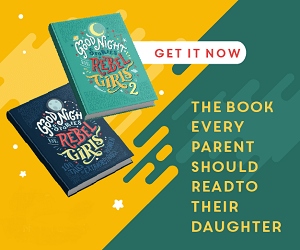 Guess what I’m buying this weekend….Thank You!